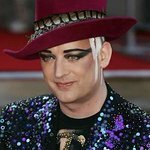 An auction of a designer hat worn by Boy George will be part of a benefit Gig in a Gallery concert at cutting-edge and contemporary art space, The October Gallery in Bloomsbury Dec. 5, in a bid to raise further funds for Small Steps Project to feed children in developing countries. Featured artists will be event producer Melissa James, Joe Cang and Ethema. Tickets are on sale now for £7 here. Tickets on the day of the event will be £9. The Small Steps Project charity was set up by former celebrity journalist, Amy Hanson, in support of the many impoverished, barefoot children who live on and feed from municipal rubbish dumps in developing countries. Melissa first heard about Small Steps Project in late 2012, when she happened to tune into a radio programme and heard Amy Hanson talking about the work of SSP. Keen to help, Melissa began to think about what she could do and, in time, the concept of Gig in a Gallery was born. These combine what Melissa normally does as a singer/performer with putting on pop-up concerts in art galleries in order to raise funds and awareness for SSP. Further donations can also be made online here. The concert will feature singer/songwriter Joe Cang whose hit song Shine, was co-written with Aswad. Also performing will be emerging folk duo, Ethemia before Melissa James takes to the stage with her band. 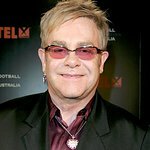 This concert will feature a mini auction with prizes including a donated Philip Treacy designer hat from pop icon Boy George and signed CDs from Billy Bragg, Marianne Faithfull and Caro Emerald. This unique project is about music and art combining with social responsibility to provide for those who “have not” from those “that have”. The idea is to showcase new music and use it as a launch pad for aspiring musicians and others in the performing arts realm. Performed within the intimate surroundings of an art gallery, it is all about music and art combining with philanthropy, and with corporate and personal social responsibility. The result: Gigs “pop up” in a gallery, raising money for charity – a pop up gig in an intimate space combines to provide a socially conscious message in a relaxed and art-filled setting. For more information, go to GigInAGallery.com.